You are here: Home / Ask an Expert / Ask An Expert: Does SEO Still Matter to My Business? Ask An Expert: Does SEO Still Matter to My Business? 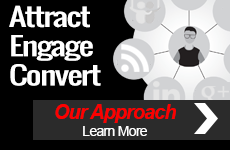 As part of our monthly newsletter, we invite our readers to Ask TopRank® Online Marketing your questions about SEO, social media, blog marketing and online PR. We’ll feature one question and answer each month. This month, we answer the question: Does SEO still matter to my business? SEO, at its core, is the art and science of making high quality content easier to find on search engines. “Quality content” can be defined as any information that helps customers answer a question that leads to a purchase or some other business outcome. Most of Google’s algorithm updates are intended to reward good content and move as much spam out of their search indexes. Most of Google’s SEO best practices are really on your side; you just need to learn how to master them. While search engines are getting smarter, more efficient, and overall better at “screening” content, they still pale in comparison to people’s inherent ability to pick out the nuances and meaning of content. So, it’s important to send the right signals to search engines and make those signals as easy to understand as possible. Content quality comes down to relevance. The key question to ask yourself is “What keywords or phrases are my customers using to find my website?” There’s no better way to target customer interests than through keywords. Every search begins with someone typing keywords into a search box, and ends with them clicking on one of the sites listed in the search results. If your site doesn’t include the keywords or closely related phrases on web pages, in meta-data, or inbound link anchor text, you’re not giving the search engines (or buyers) the information they need to understand your site’s relevance for that search query. Optimization of on-page copy and meta elements can have positive effects on search traffic and rankings, in particular for sites that are strong in most other aspects. While Google’s recent announcement about the decreased importance of links is significant, it is far too soon to write off quality links altogether. Crawling links is an important way for search engines to discover content, thus the more links pointing to your site (from relevant, quality sources), the more opportunities the search engines have to find your content. Don’t fall into the trap of treating links as more important than quality content, or that enough links pointing toward bad content can somehow make it good. This is the definition of misguided effort, as great content will not only attract quality links on its own (with help from effective promotion and social media shares), but is far more likely to increase visitor engagement when it’s found, and result in those all-important conversions. Social shares are as important as links from other web pages, so ensure your content creation efforts include content promotion efforts through social networks. 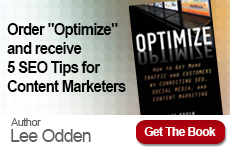 Grow networks on a regular basis to increase the audience reach of the optimized content you’re promoting too. Google+, Facebook and Twitter are must-haves with any content promotion efforts through social media. Just make sure you’re promoting plenty of other useful content, not just your own. 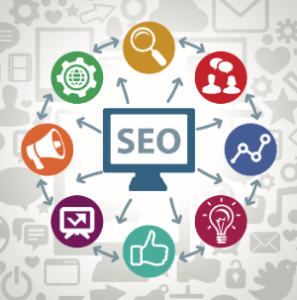 By definition, SEO is about an ongoing effort to improve the performance of your website content to be found both by search engines and customers using search engines. What better time is there for your useful content to be found than at the exact moment your customers need it? That’s the value search engine optimization brings to the online marketing mix. As long as people use search engines to find information and businesses have content they want potential customers to see, SEO will be important. How are you using SEO in your company to attract, engage and convert more customers?